Want to cast Winston Fly Rods in Maryland? 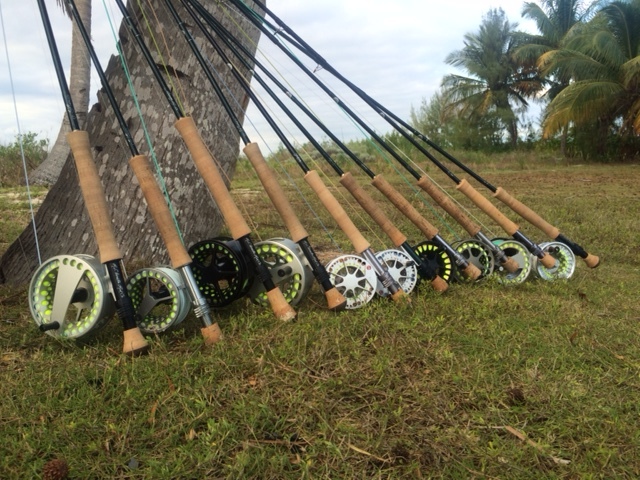 Mike Colegrove, our favorite R. L. Winston rep was kind enough to send us (in the dead of winter) this nice warm shot of a gathering of Winton BIII-x and BIII-SX fly rods he brought along during a trip to Abaco, Bahamas this winter. He’ll have samples of all of the popular models of Winston fly rods including the LS, Nexus, Microspeys and TH fly rods to test cast. Mike will also be manning the grill so stop up for a free burger or hotdog with all the fixings during the demonstration! We’ll raffle off a Scientific Angler fly line and have all the new lines for test casting between 11 AM and 2 PM on Saturday, April 18 2015. This entry was posted in events, gear on April 8, 2015 by Theaux Le Gardeur.